Happy first Day (or night) of Spring beginning at 5:58PM EDST. Last weekend was the first weekend that it didn't rain here in Central Georgia and it looks like this weekend will not only be dry, but also temperatures in the low 70's! Did you catch the brief note about the new look of our www.debenllc.com website? 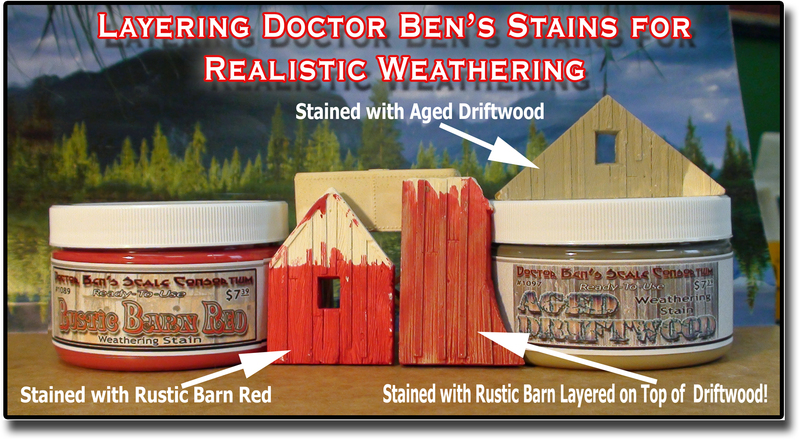 As we slowly begin the sale process and the transition of creating a Doctor Ben's website and a Scale Model Masterpieces website, we are getting some housekeeping done on our primary website. Lot's of folks are kind of nervous about our decision to sell but unlike the announcement from NWSL last week to close it's door the end of August, we're not closing our doors anytime soon. As long as both businesses continue to attract customers and generate income things are business as usual. It is my health issues that are driving our decision to sell our businesses expecting that new owners might take these successful businesses that we've created to the next level of both returning to Vendor attendance at conventions and hobby shows as well as ramp up the online videos needed that are so successful for today's thriving businesses. 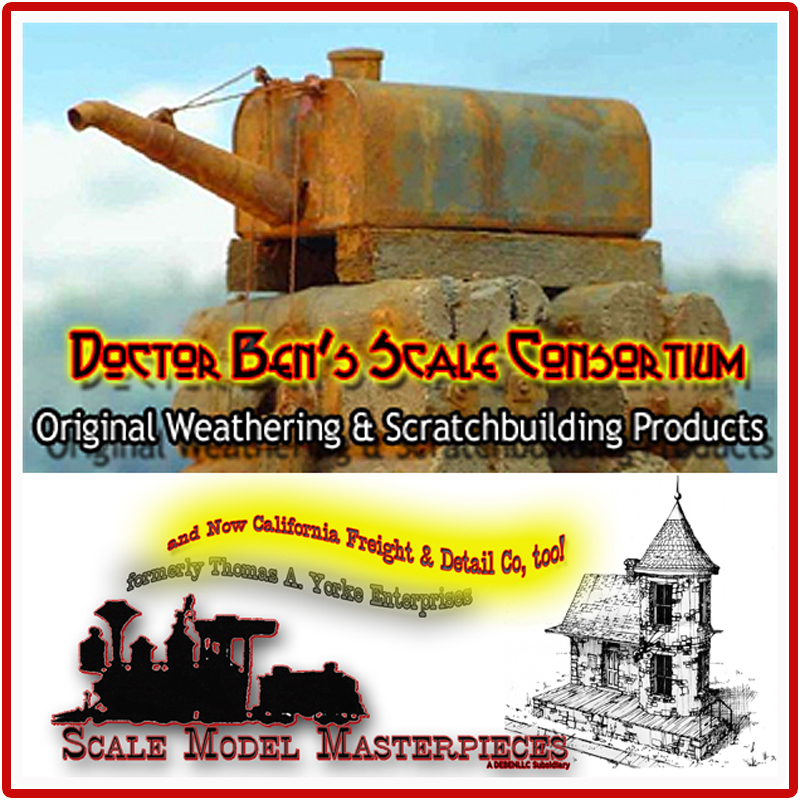 How-To: Build the Scale Model Masterpieces "Practice Wall Kit"
Over the past few years, since we purchase the Thomas A. Yorke Enterprises. 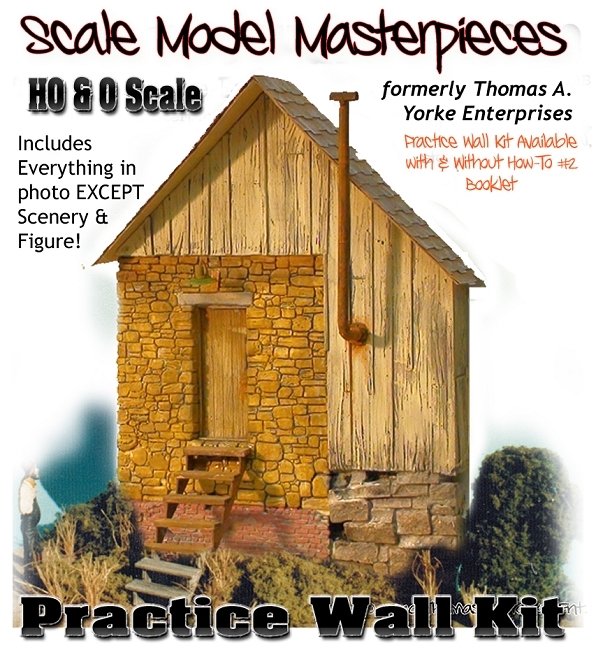 Structure kit line (now Scale Model Masterpieces), we have been slowly updating many kits, including this "Practice Wall Kit" (#3101 & #9101). It is official; we have a great new look for an old friend! 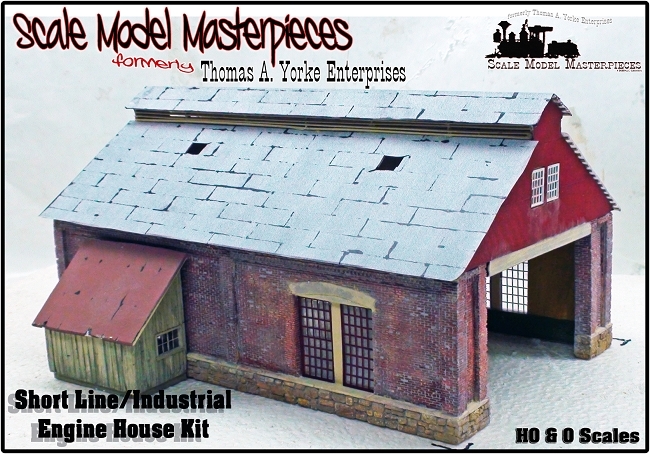 Our kit instructions will reference this Blog Posting to supplement the kit instructions... Continued Here! Get your Practice Wall Here! One of the really popular details people get this time of year are Relay Boxes. 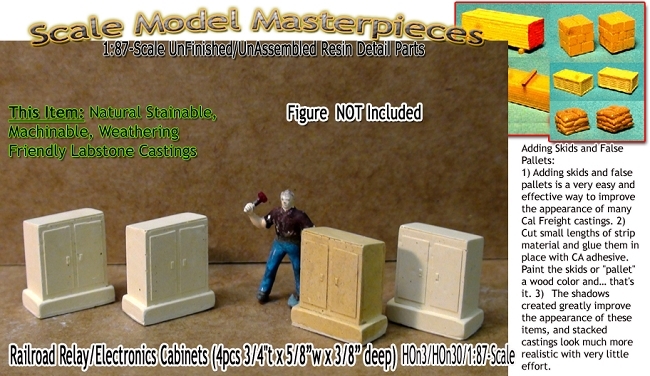 Relay Boxes add a nice detail of realism and when you can find them like Labstone castings for a reasonable price, they're just too hard to pass up! Detail Parts are composed of UNFINISHED/UNASSEMBLED Natural Labstone castings/parts-Assembly & Finish may be Required. Assembly using most plastic cements and painting may be completed by hand or an air brush. 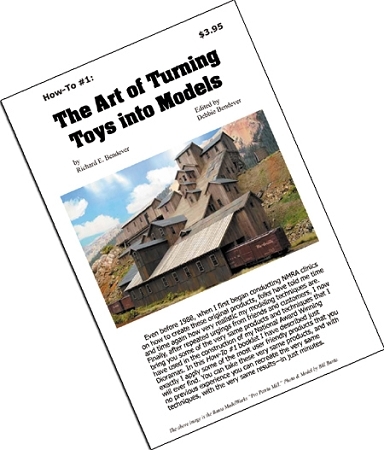 Want to know how to weather your finished model? Scroll down to find out how! The Pilot Model (see image at right) set up as a two-track "drive though" with the lean-to normally position on the rear of the facility has been re-purposed addition to the side thanks to the Option to add a rear sliding door set to the back opening.. Even though we have already sold so many of this kit without listing the "gi-normous" Details Set" (over a half of a pound of detail parts), we finally found an opportunity to assembly all the Scale Model Masterpieces details for this kit together in a single image (SEE image below left). Just to name a few of these d etails they include three fuel/oil/water tanks of different sizes, bunch of boxes & cans, hay bales; cabinets, shelving, firewood, stacks of sacks, covered pallets, stacks of all kinds of stuff, all the typical stuff found inside and outside and around a busy two-stall Industrial engine house. Plus, this kit include one (1) Inspection Pit & Bridge Plate (SMM5005) with the Option to add another. This is a very Limited Time offer and then the Inspection Pit/Bridge Plate will become an Add-On Option at time of purchase. 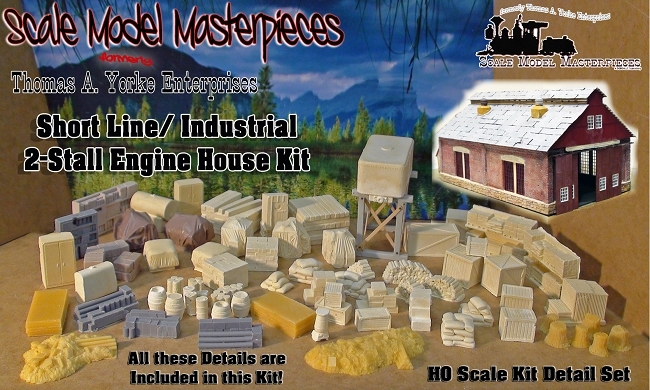 CLICK HERE for more about this amazing kit ..
Gazette Magazine-55% Off & Frre Economy Postage...Limited Time! 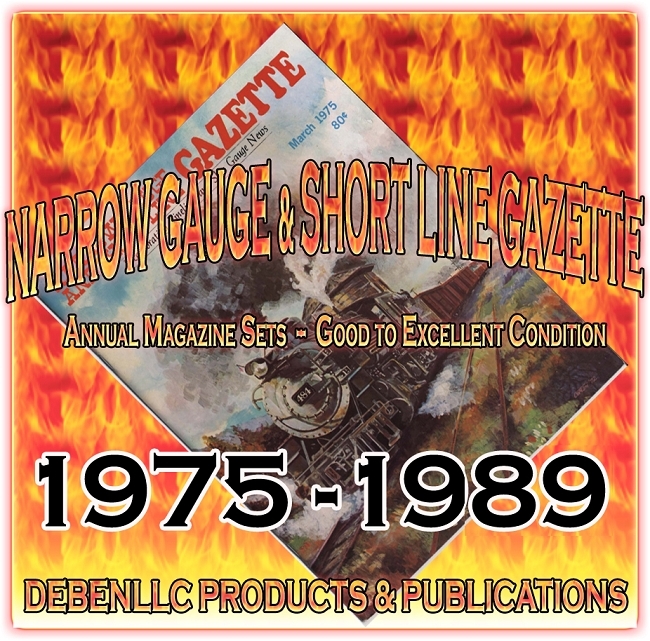 That's right, this is a Sale of all remaining NG&SL Gazette magazine Individual Issues AND Annual Sets on our website. The only limits are a Minimum $25 spend. Please share your DEBenLLC purchase experiences on our website! Join the throngs of Customers who simply submitted a www.DEBenLLC.com Website Product Review for for any item(s) on our website. This is a brand new feature on our website so here is a chance for your to be one of the first customers to share your DEBenLLC product experiences. Our website will send you an email and a list of your purchases to Review. All you do is click the link and provide a few comments... Easy-Peasey! 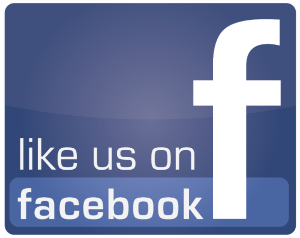 And be sure to Invite your Friends to Like our facebook Page as over 1,800+ others have already Liked Us!